The Harmony 1000 Pocket Spring Mattress in Pure Cotton is available in all sizes. It offers luxuriously soft comfort through Individually wrapped pocket springs which provide responsive support by moving independently and adjusting to your body's contours. 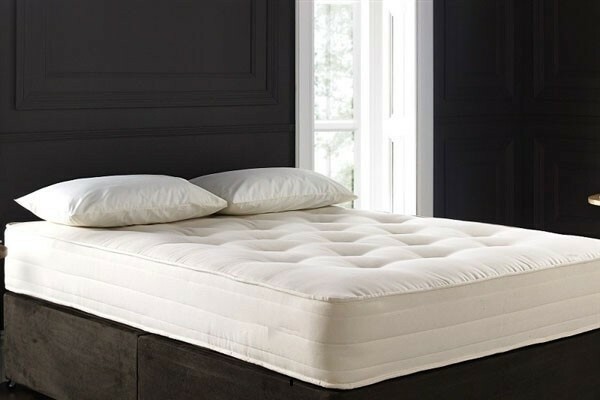 It is traditionally deep hand tufted which gives you that 'sink into the mattress’ experience, with Multiple layers of sustainable quality hypo-allergenic fillings.It features air vents which help mattress to breathe and remain fresh. It is exquisitely upholstered in a soft feel pure cotton woven fabric, effective in antibacterial, anti fungal and anti-dust mite protection..